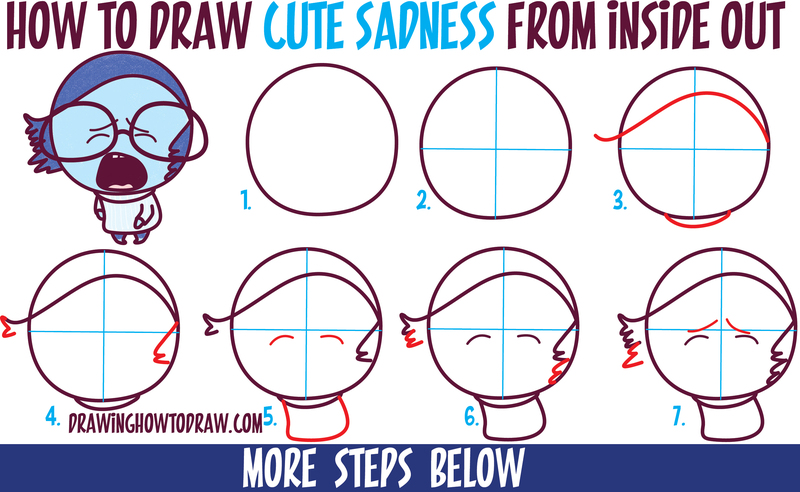 Today I’ll show you how to draw a cute / chibi / kawaii version of Sadness from Inside out. 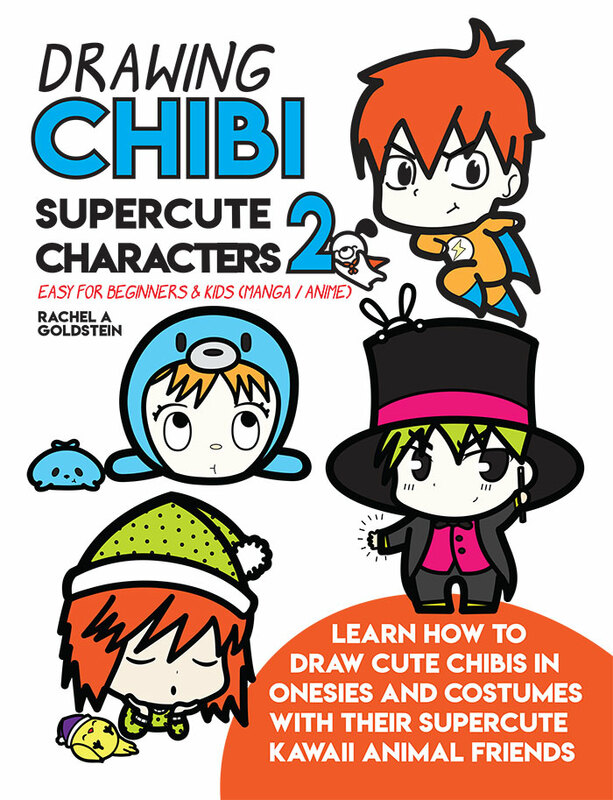 This version is much easier to learn how to draw so even young kids will be able to follow along. If you know how to draw basic shapes, letters, and numbers, then you will find this step by step drawing tutorial to be easy! 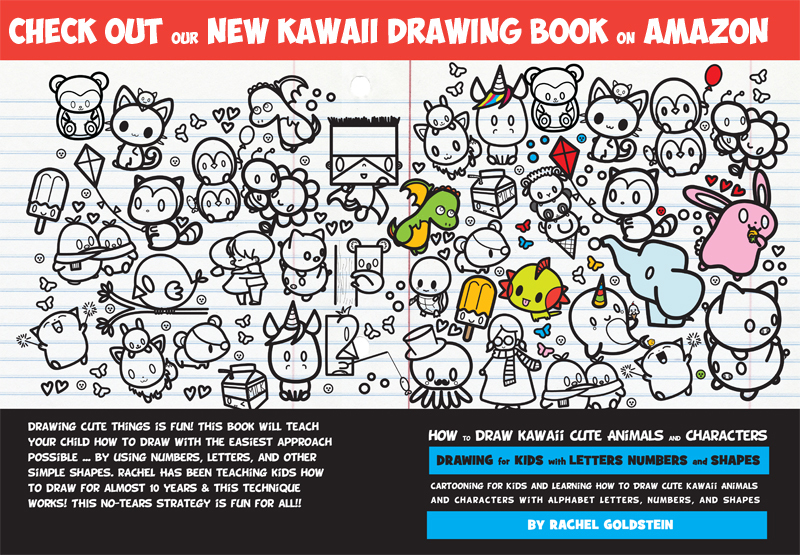 Have fun and happy drawing! (Step 1) Draw a circle. This is her face. (Step 2) Lightly draw guidelines thru the face. (Step 3) Draw a sideways letter ‘s’ shape for the bangs. Draw a curved line for the collar. (Step 4) Draw sideways letter ‘M’ shapes for hair. (Step 5) Draw curved lines for eyes. Draw a curved square body. (Step 6) Draw sideways letter ‘M’ shapes for hair. (Step 7) Draw a sideways letter ‘M’ shape for hair again. Draw curved lines for eye brows. (Step 8) Draw sideways letter ‘M’ shape for hair again. Draw sideways letter ‘v’ shapes for hair. (Step 9) Draw sideways letter ‘c’ shape for mouth. Draw letter ‘L’ shape on each leg. (Step 10) Draw a line to close mouth. Draw sideways letter ‘E’ shape for teeth. (Step 11) Draw lines for arms. (Step 12) Draw sideways #3 shape for tongue. Draw a curved line on each arm. 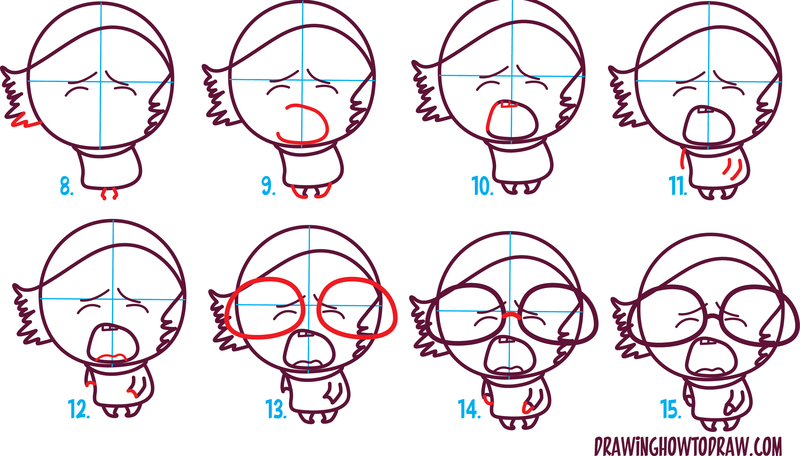 (Step 13) Draw ovals for glasses. (Step 14) Draw a curved line in center of glasses. Draw a curved line for each hand. (Step 15) Erase guide lines and color her in.